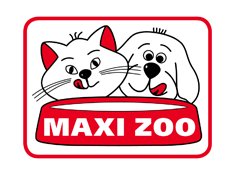 Maxi Zoo is Ireland’s number one pet retailer with sixteen stores, located in counties: Tipperary (Clonmel), Carlow, Waterford, Cork (Ballincollig, Midleton & Douglas), Dublin (Finglas, Tallaght, Liffey Valley & Leopardstown), Kildare (Naas & Maynooth), Wicklow (Bray), Limerick and Longford. Maxi Zoo Ireland opened its first store in Ballincollig, Cork in 2006. The company currently employs 115 staff.